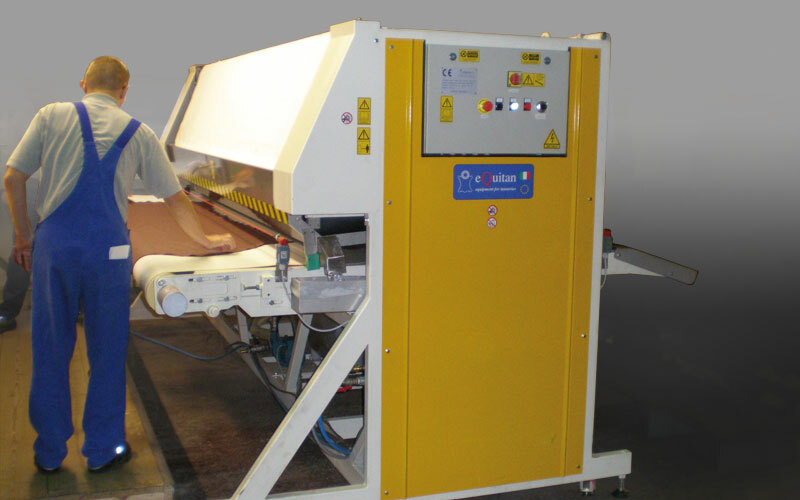 Automatic hide extractor for limed hides and pickle skins for installing at the rear of a splitting machine. 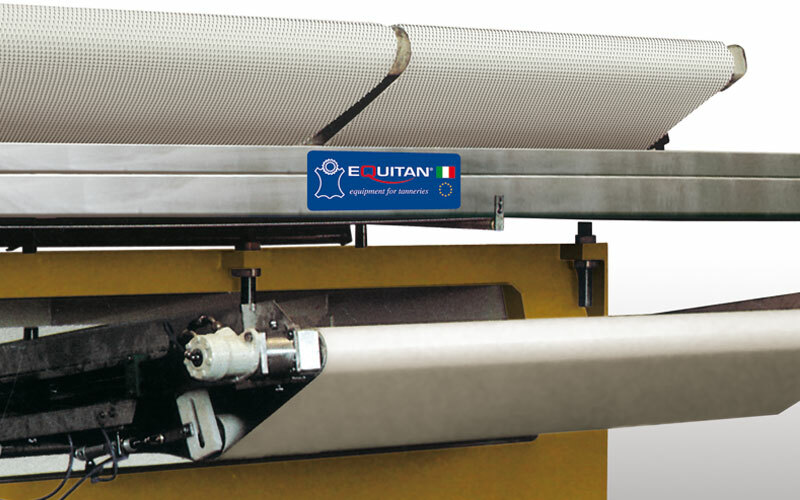 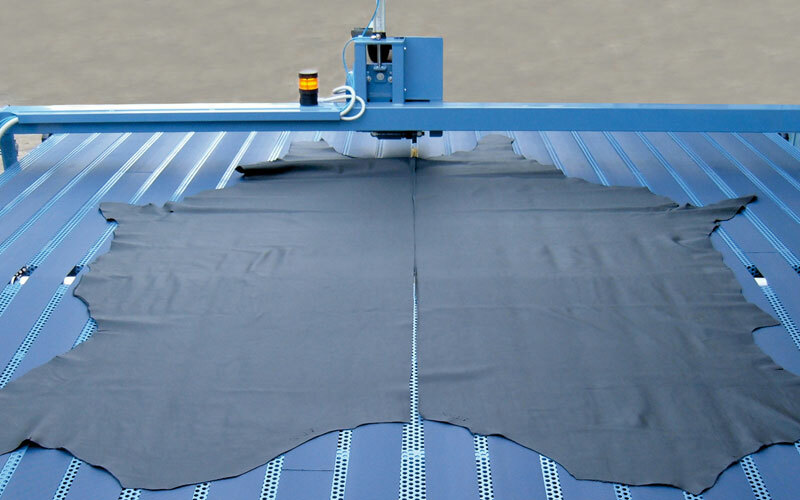 Pressure rollers with independent adjustment, to grant the correct extration of hides in any situation. 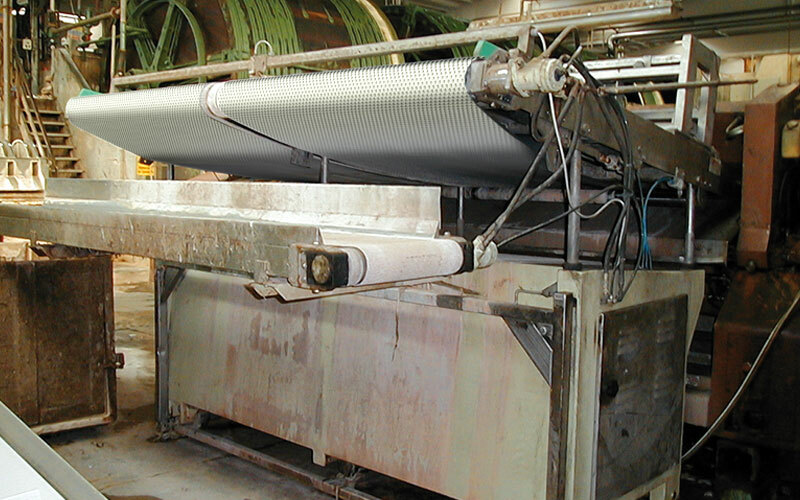 Trasversal conveyor of grain split for hides conveyance in two tank. 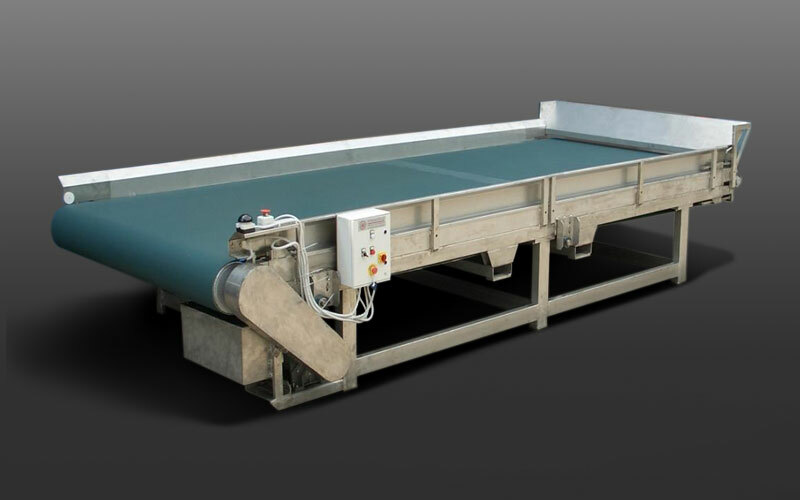 Central conveyor for conveyance of flesh split in one tank. 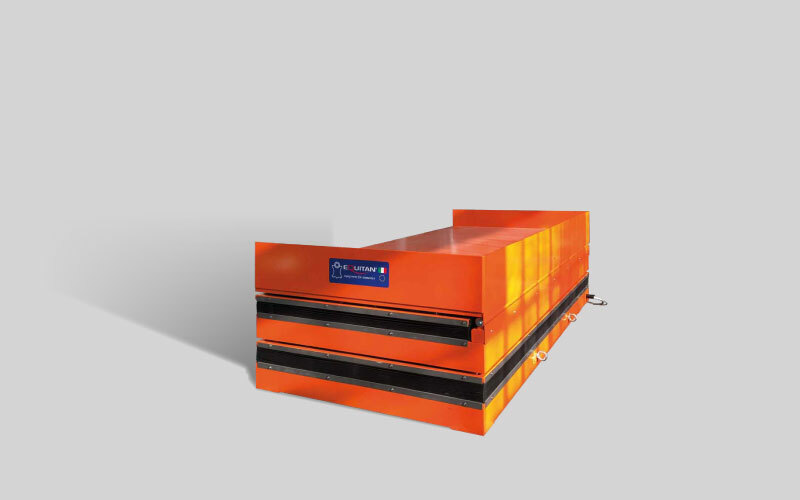 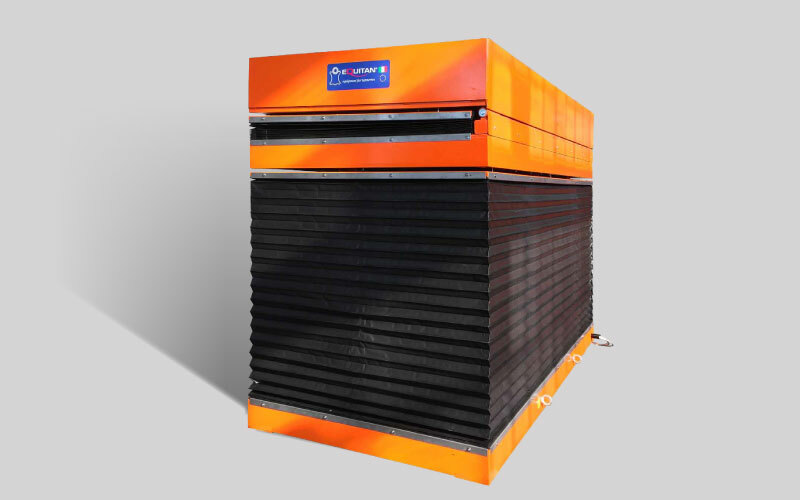 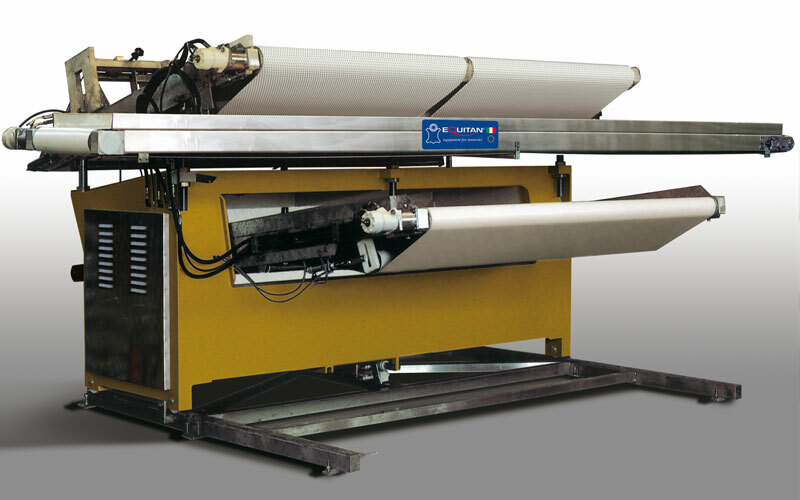 Extractor type ET can be displaced from splitting machines of 1400 mm to allow cleaning and maintenance. 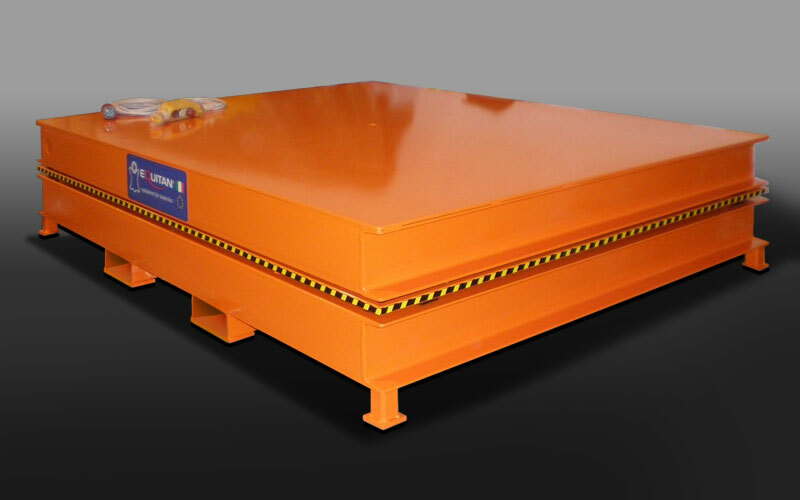 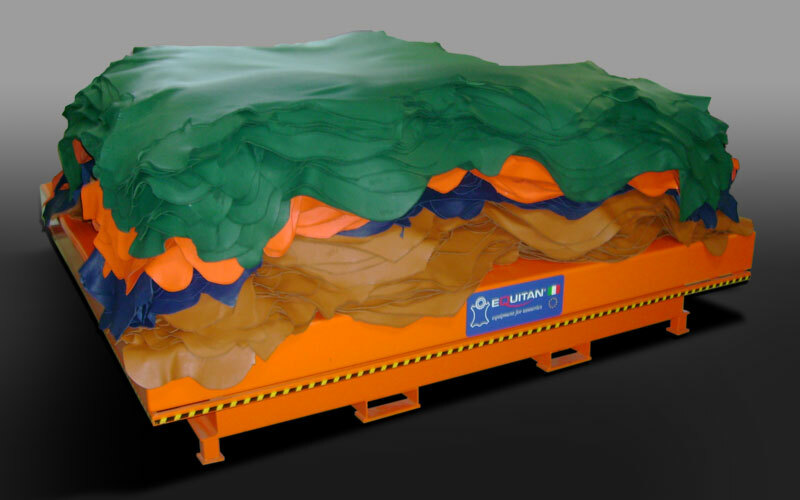 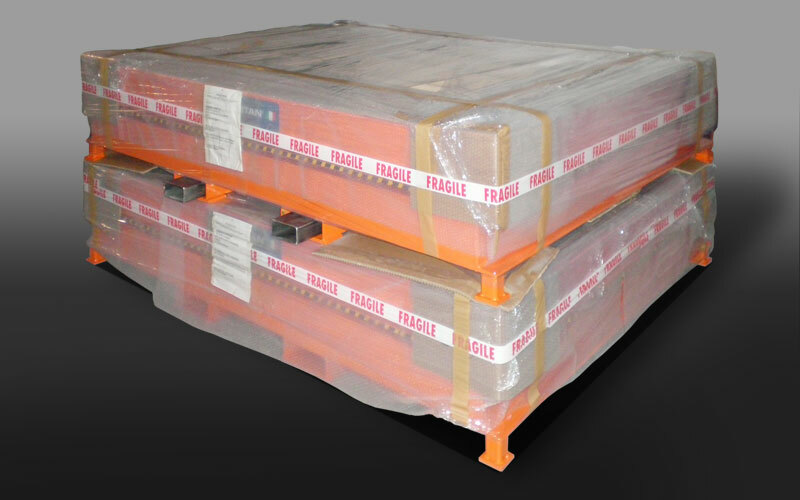 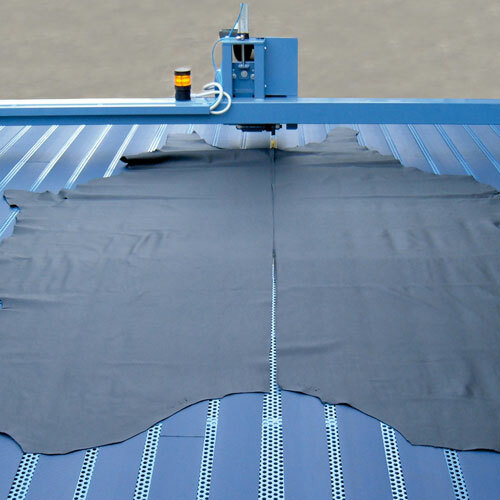 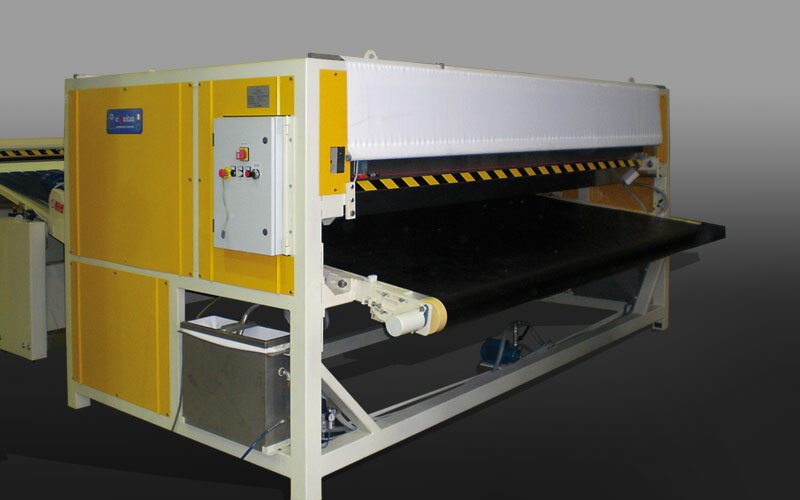 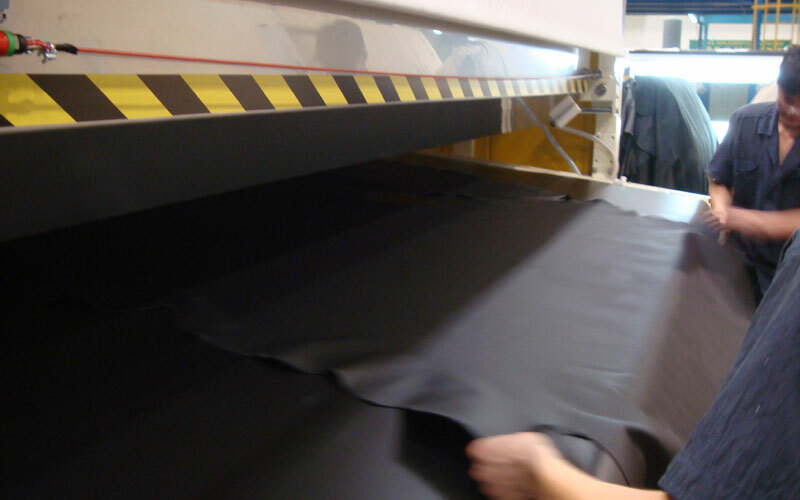 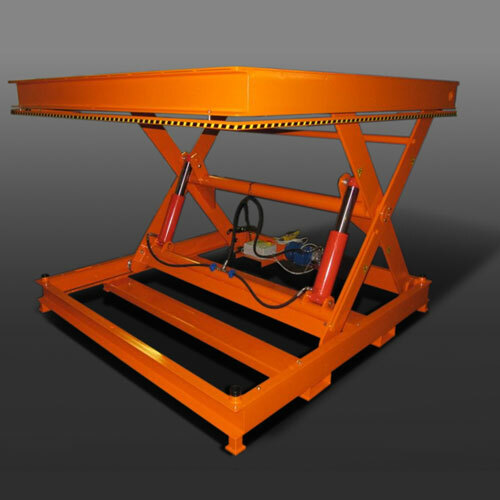 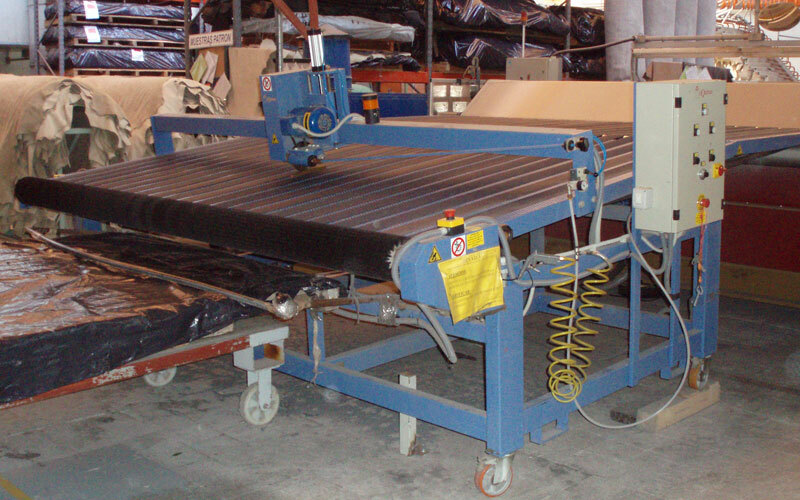 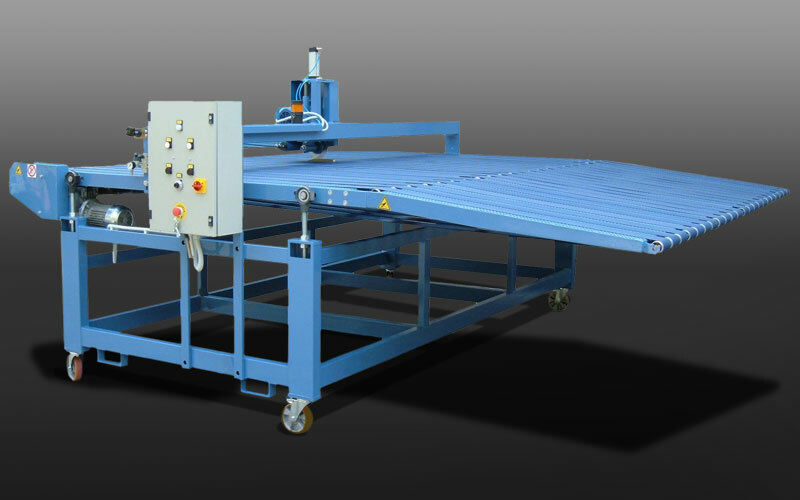 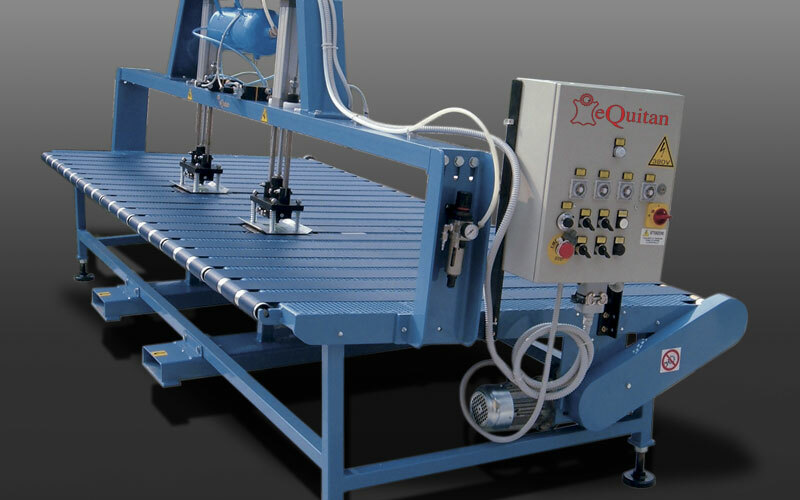 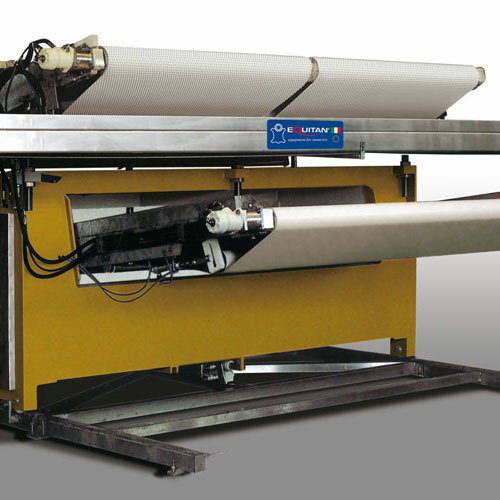 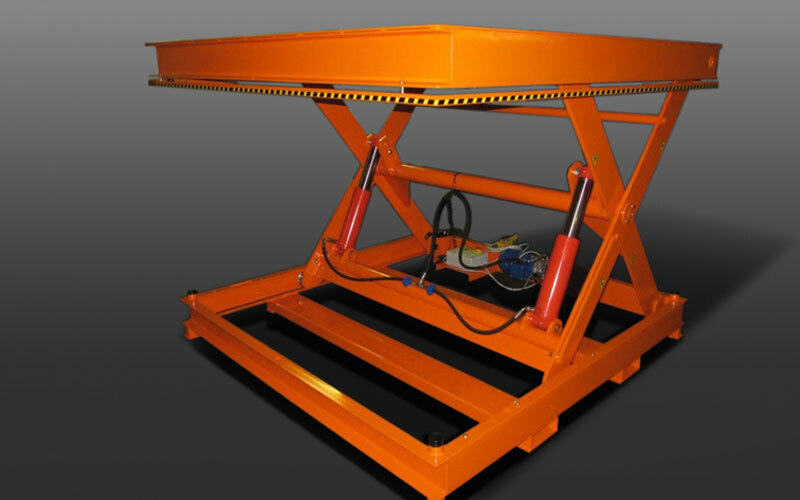 Custom–made conveyor belts for various application. 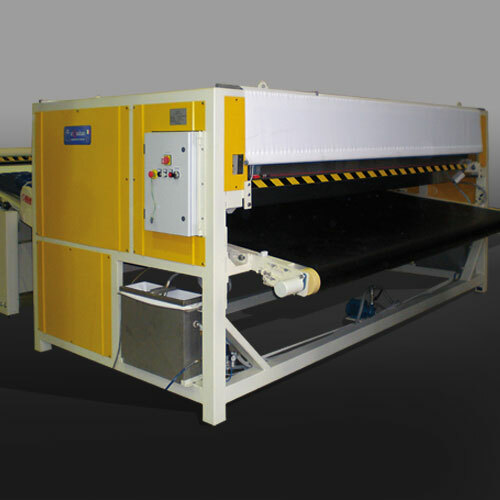 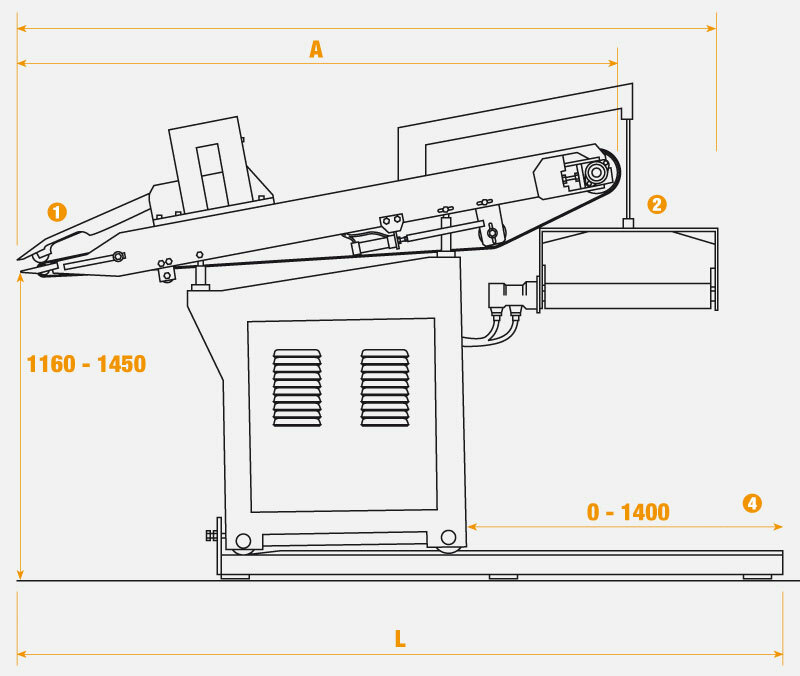 Conveyor for sorting of WB with option of single or double stamping device, conveyor belts with spreading belts for semi-finished leather. 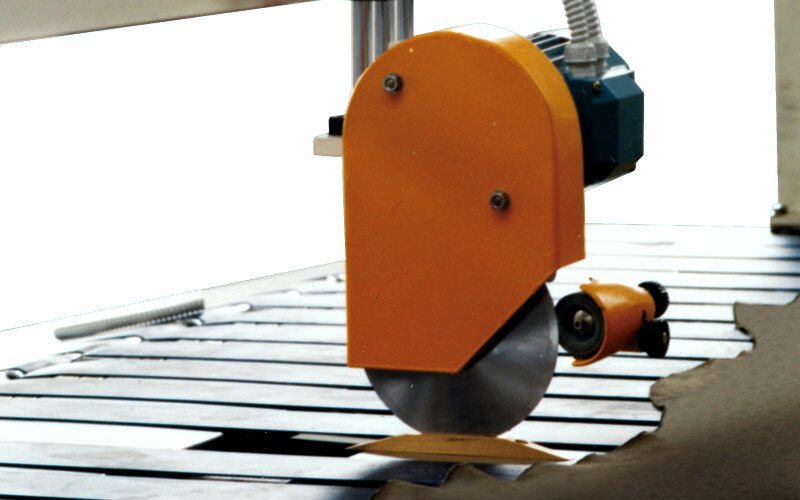 Cutting device on the belt is also an option. 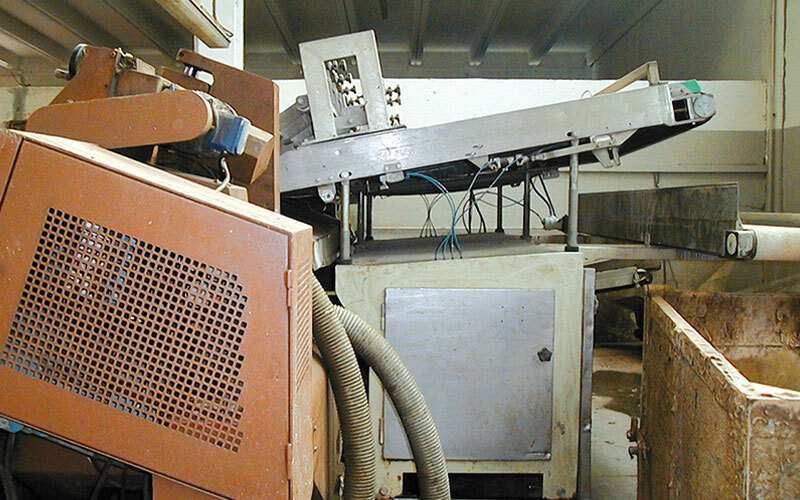 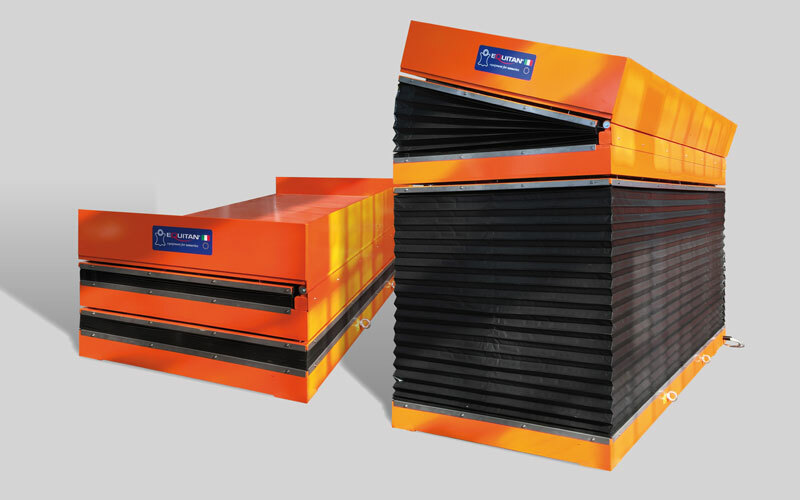 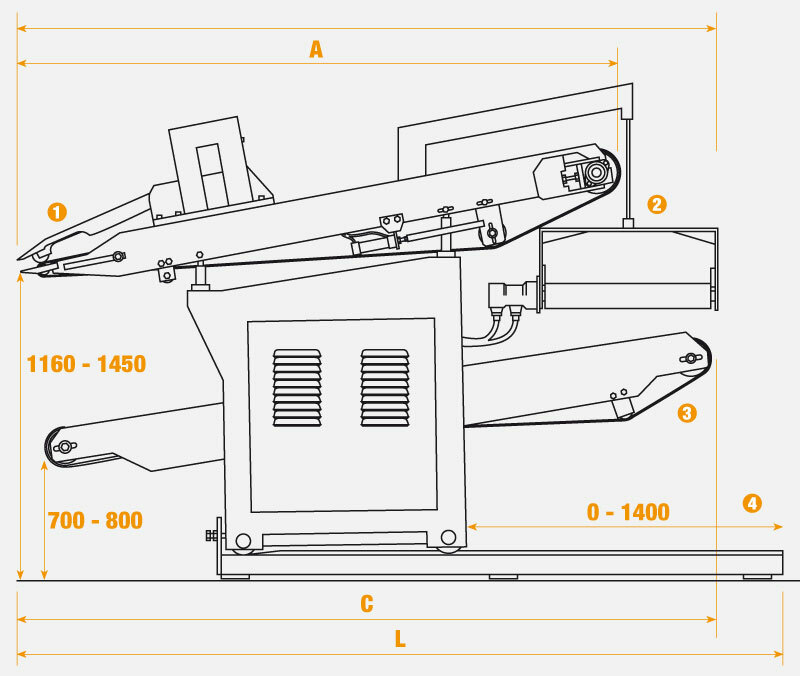 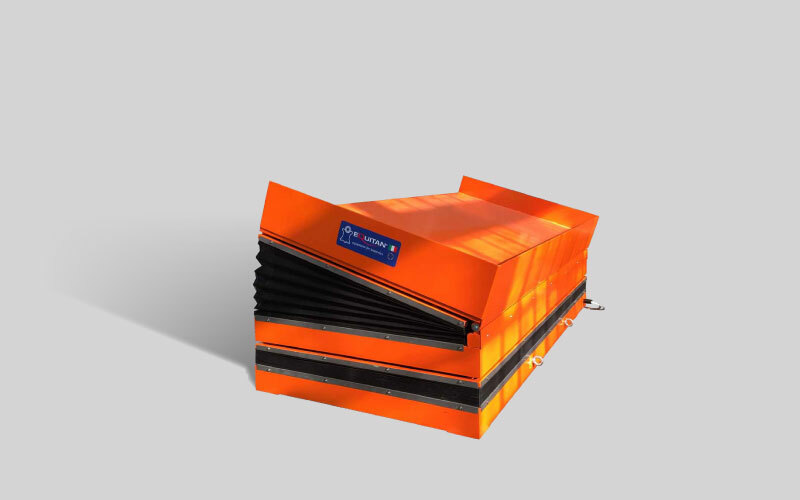 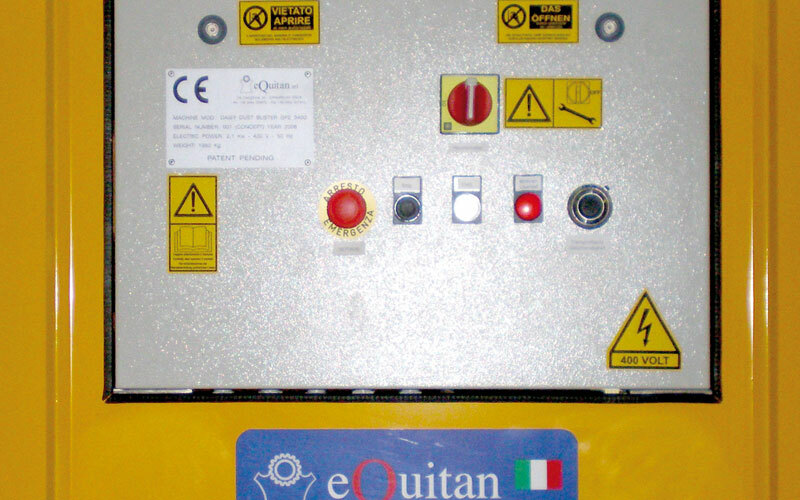 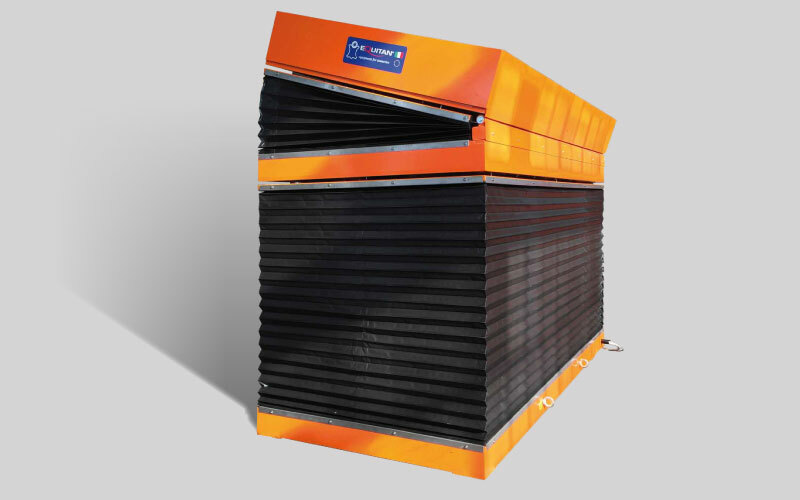 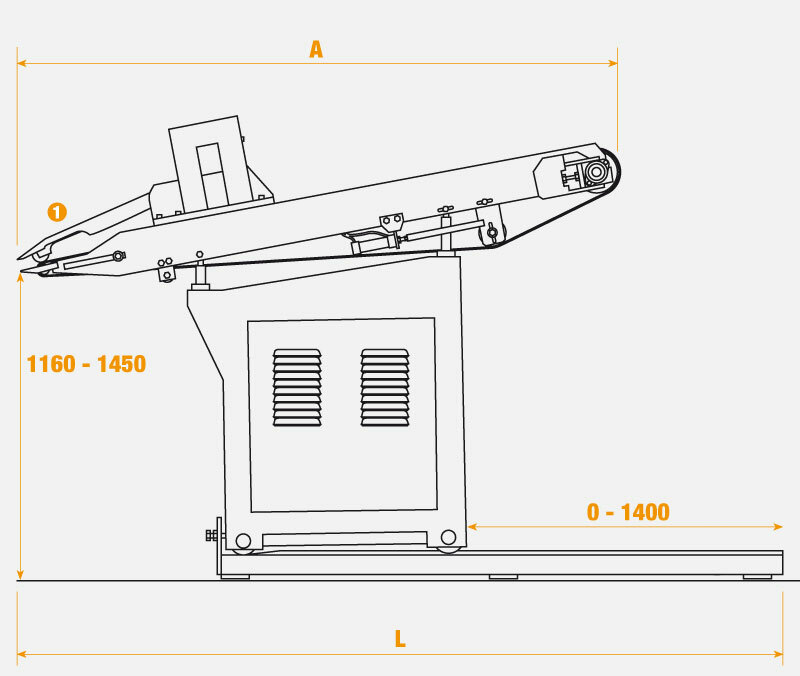 Turning again to the dust elimination problem, a separate dedusting machines was launched, developed and subsequently patented using a relatively simple concept not requiring fans or filtration. 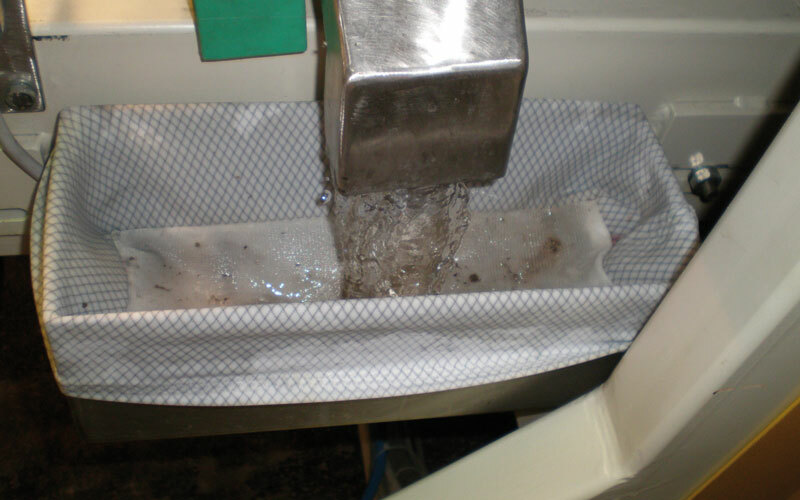 This machines has an upper adhesive belt that collects dust from the grain side of leather as it feeds through.